Minnesota neon underglow usage is governed by the state's Code. All relevant laws, rules and regulations pertaining to vehicle lighting including car underglow in Minnesota have been provided below. Make sure to examine the regulations carefully and do not use any restricted lights. Usage of neon underglow lighting is governed by Minnesota Statutes, Transportation, Chapter 169, Section 169.64: Prohibited Lights. Is neon underglow legal in Minnesota? Minnesota law does specifically prohibit additional vehicle lighting which may include neon underglow. Therefore it’s our conclusion that in Minnesota neon underglow is illegal. The only color which may be visible from the front of the vehicle is white or amber, and the only permissible color visible from the back of the vehicle is red or amber. Blue and red lights are explicitly prohibited for civilian vehicles, and you may not use any kind of flashing lights. All colors except those permitted for required vehicle lights (white, amber, red) are prohibited for use. Unless otherwise authorized by the commissioner of public safety, no vehicle shall be equipped, nor shall any person drive or move any vehicle or equipment upon any highway with any lamp or device displaying a red light or any colored light other than those required or permitted in this chapter. Since this excerpt is a bit ambiguous, one could argue it only refers to using colors other than white, amber or red. In that case this would technically mean you could install neon underglow in Minessota if the colors were either white, amber, or red. Unfortunately exactly because of its ambiguity we strongly suggest not using car underglow in Minessota while driving. If you wish to install it for use on private property, do so at your own risk. Below are all relevant excerpts from Minnesota Vehicle Code that limit, restrict or allow certain aftermarket lights to be installed on vehicles. Subdivision 1.Lights or reflectors required. At the times when lighted lamps on vehicles are required each vehicle [...] shall be equipped with one or more lighted lamps or lanterns projecting a white light visible from a distance of 500 feet to the front of the vehicle and with a lamp or lantern exhibiting a red light visible from a distance of 500 feet to the rear, except that reflectors meeting the maximum requirements of this chapter may be used in lieu of the lights required in this subdivision. It shall be unlawful except as otherwise provided in this subdivision, to project a white light to the rear of any such vehicle while traveling on any street or highway, unless such vehicle is moving in reverse. Any lighted lamp or illuminating device upon a motor vehicle, other than a headlamp, a spot lamp, or an auxiliary driving lamp, which projects a beam of light of an intensity greater than 300-candle power, shall be so directed that no part of the beam will strike the level of the roadway on which the vehicle stands at a distance of more than 75 feet from the vehicle. (a) Unless otherwise authorized by the commissioner of public safety, no vehicle shall be equipped, nor shall any person drive or move any vehicle or equipment upon any highway with any lamp or device displaying a red light or any colored light other than those required or permitted in this chapter. (a) Except as provided in paragraphs (b) to (d), blue lights are prohibited on all vehicles except road maintenance equipment and snow removal equipment operated by or under contract to the state or a political subdivision thereof. Violation of vehicle lighting laws as per Minnesota statutes (169.47 UNSAFE EQUIPMENT) is considered a misdemeanor. (a) It is unlawful and punishable as hereinafter provided for any person to drive or for the owner to cause or knowingly permit to be driven on any highway any vehicle or combination of vehicles which is in such unsafe condition as to endanger any person, or which does not contain those parts or is not at all times equipped with such lamps and other equipment in proper condition and adjustment as required in this chapter, or which is equipped in any manner in violation of this chapter, or for any person to do any act forbidden or fail to perform any act required under this chapter. Our information about car neon underglow laws in Minnesota was last updated in 2018 and checked in 2019. In case any info we provided is not up to date or correct be sure to contact us so we can revise it. Thank you! Check our data with your local law enforcement or other relevant agencies! 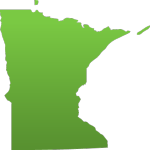 Minnesota underglow laws in certain cities or counties may be different from state legislation. While we do our very best to provide the most accurate information about LED and neon street glow usage we will not be held liable for any potentially incorrect or misinterpreted info. Minnesota is a U.S. state in the Midwestern United States. Minnesota was carved out of the eastern half of the Minnesota Territory and admitted to the Union as the 32nd state on May 11, 1858. Known as the "Land of 10,000 Lakes", the state's name comes from a Dakota word for "sky-tinted water". Those waters, together with forests, parks, and wilderness areas, offer residents and tourists a variety of outdoor recreational opportunities. Minnesota is the 12th most extensive and the 21st most populous of the U.S. States. Have questions about traffic or neon glow laws in Minnesota?